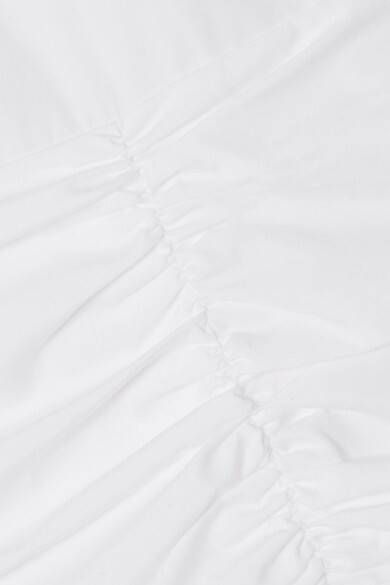 Loewe's maxi dress is beautifully draped from panels of airy cotton and linen-blend. It's cutout at the shoulder and ruched at the waist, and has extra-long sleeves to define the billowy silhouette. 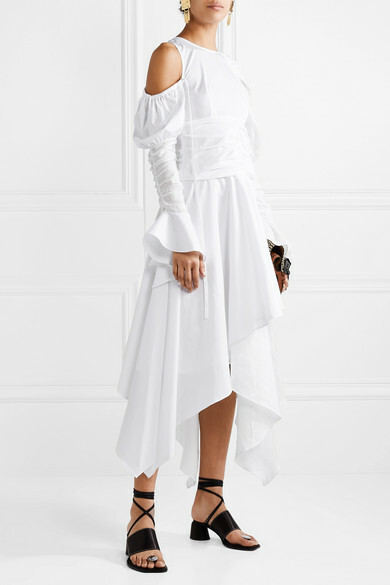 The tiered ruffled skirt gently floats with each step. Wear yours with lace-up sandals and a top-handle bag. Shown here with: Loewe Shoulder bag, Ellery Sandals, Annie Costello Brown Earrings.